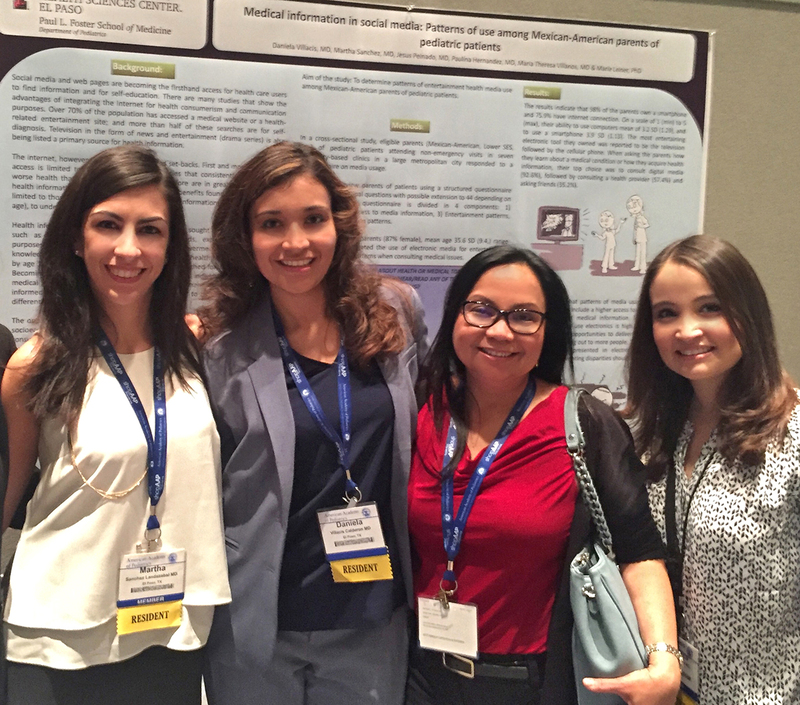 Third-year resident Daniela Villacis, M.D., recently won best poster at the 2017 national conference of the American Academy of Pediatrics (AAP). 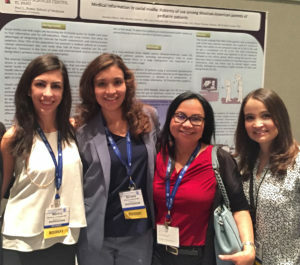 The conference included competitive poster projects from across the U.S.
Third-year resident Daniela Villacis, M.D., recently won best poster at the 2017 national conference of the American Academy of Pediatrics. Villacis’ research project examined how Mexican-American parents in El Paso are obtaining medical information. She found that 93 percent of parents surveyed preferred to get health information from digital media, such as online articles, videos and social media channels. Consulting with an actual health care provider was the second preferred source for 57 percent of parents. Villacis conducts research under Marie Leiner, Ph.D., a research professor in the Department of Pediatrics. Additional team members involved with the project were residents Martha Sanchez, M.D., and Paulina Hernandez, M.D. ; and Associate Professors Jesus Peinado, M.D., and Maria Villanos, M.D.